"I may not be where I want to be, but at least I'm not where I was"
Just as that quote says, I'm most certainly not at my goal weight yet, but I'm thrilled with being much closer to it than I was when I started. 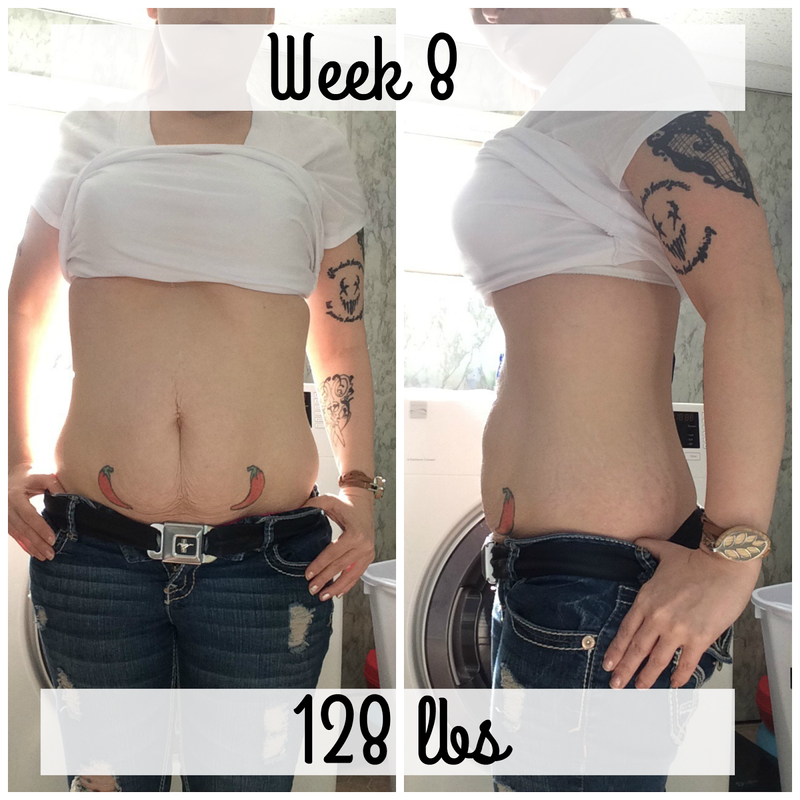 Last week I got an elliptical that I have totally been rocking and I also got myself some Palmer's Skin Firming lotion as well to try and take care of tightening the areas where I'm losing the inches. Speaking of which, while my weight loss for this week was a 1 pound gain from last week, I decided to take measurements early (I had planned on taking measurements the very last week on the program) because I know that the scale isn't the best way to determine your progress. I was excited to see that I had lost 2" in my waist area and I can tell that I'm starting to tone muscle especially in my legs (thanks, elliptical!). When I say I'm rocking the elliptical, I really mean it. These are my numbers from Thursday, however since I use my weights while I'm on it, I can count on the calories burned being a little higher. Each day looks more or less the same. 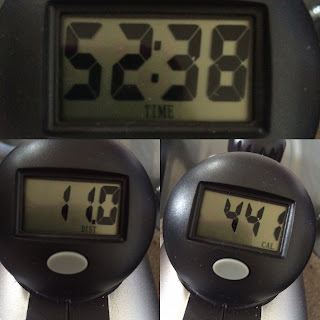 I had to change up my fitness routine because I was getting bored with my normal workout. I also think that is why I was plateauing for a few weeks as well. That's one thing you need to be aware of when you are on your weight loss journey. It's best to change up your routine often because your body will get so use to the same routine and it will no longer work as well. It's also very important to take a rest day each week. One huge reason I am on this journey, is that my husband and I are renewing our vows to celebrate our 10 year wedding anniversary in November. I'm determined to look fantastic in my dress. 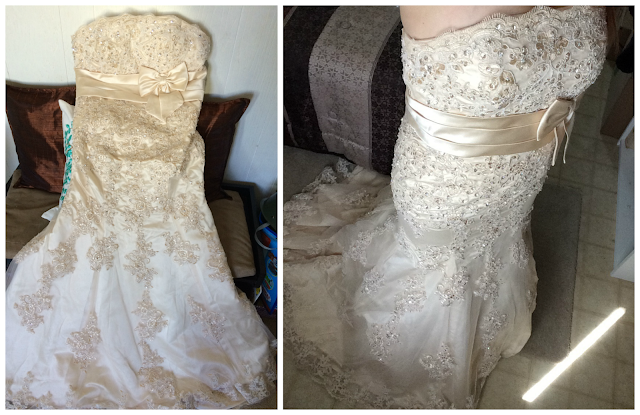 I had it ordered in my measurements that I was at the time of purchase and it finally arrived today. I was ecstatic to find out that it's going to need taken in a few inches in the waist, but this is exactly what I am working so hard for! 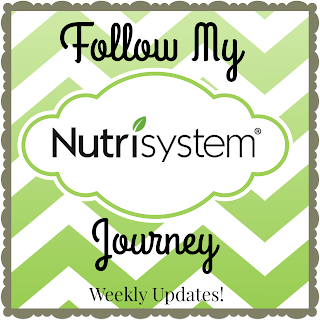 Disclosure: I am getting three months of Nutrisystem for free and have been asked to share my weight loss journey with my readers & on social networking platforms. All opinions will be that of my own and all results will be that of my own weight loss and inches lost.